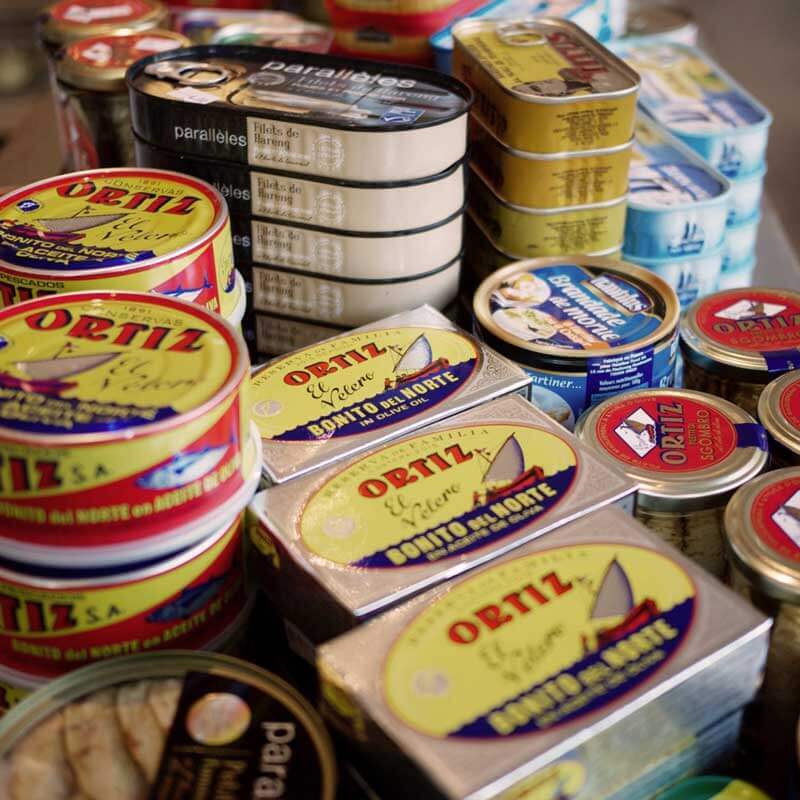 This producer of canned seafood is from Galicia in Northern Spain. The products are the highest quality. Once you have tasted these you will want nothing else. Firm pieces of tuna in olive oil. This tuna is guaranteed to have been caught on the hook through sustainable fishing. A sustainably caught on the hook tuna which is ripened longer in the can. These anchovies are a refined taste maker. The anchovies are first pickled in coarse sea salt and then ripened for four months in wooden barrels. After which they are rinsed by hand, cleaned and carefully filleted and preserved in oil. These are the very best and largest anchovies from Ortiz. They are such a delicate taste that you can eat them directly from the glass jar. These are vacuumed whole anchovies. Delicious on pizza or in a salad for example. Sardines in a glass jar or a can, ideal served as an accompaniment to drinks or on bread. These are the famous marinated anchovy filets from Spain. With some freshly cut parsley and sprinkled with lemon juice they are great to serve with drinks. This natural sardine pâté is lovely on toast. Great old fashioned smoked sprat fish from Riga in Lithuania. Super delicious white beans from Italy which make a great bean salad base with a nice pouring of olive oil. Tip: the Faggioli are ideal as a main ingredient for home-made humus. D.O.P. tomatoes which are grown at the foot of the Vesuvius in Southern-Italy. They are sweet tomatoes in a can which dissolve easily into a sauce once cooked in a pan. 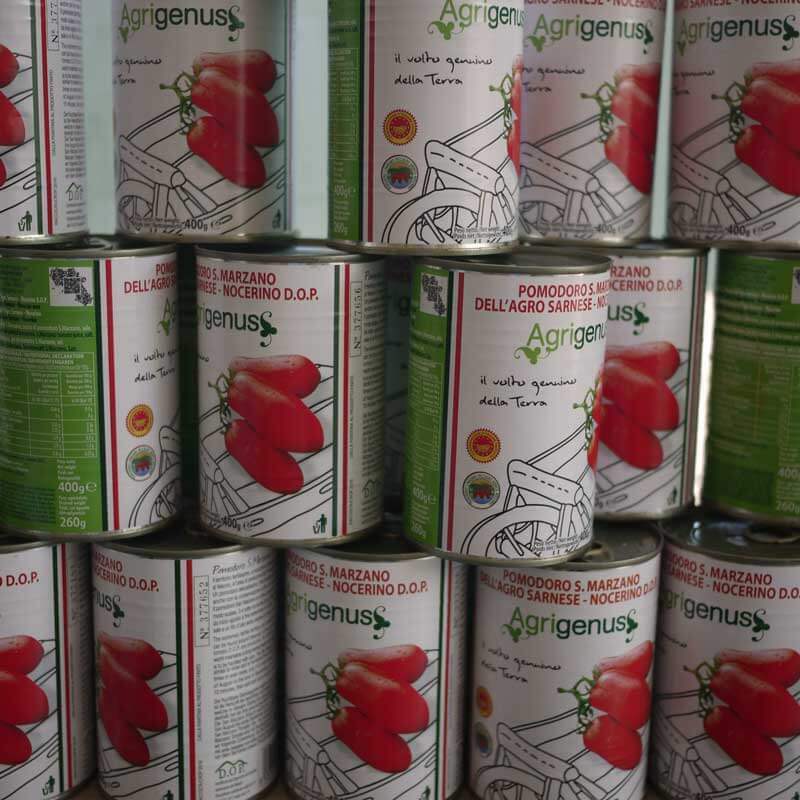 Once you have tasted San Marzano you will not want any other tomatoes. 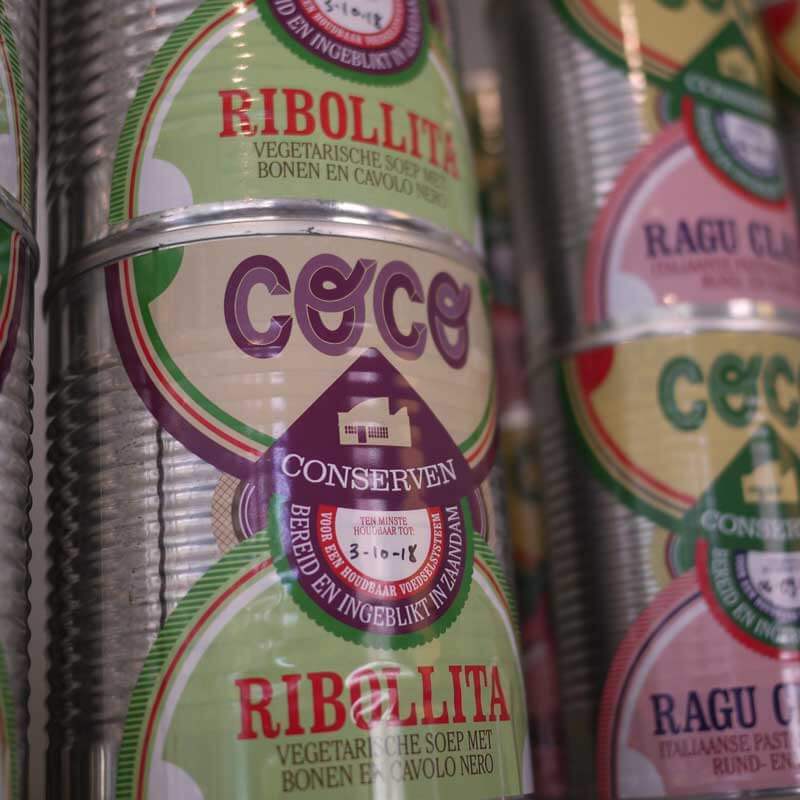 The conserves company from Zaandam is writing history when it comes to canning food. Sustainability and culinary quality are of key importance. De Oliewinkel sells three of Coco Conserven’s products. The Ragu Classico is an Italian pasta sauce from stewed beef and pork. The Ribolita is an Italian soup with beans, bread and cavolo nero. The goose rillettes is made with Schiphol-goose which is preserved in its own fat. Amazing with a glass of wine, some sturdy bread and pickles.